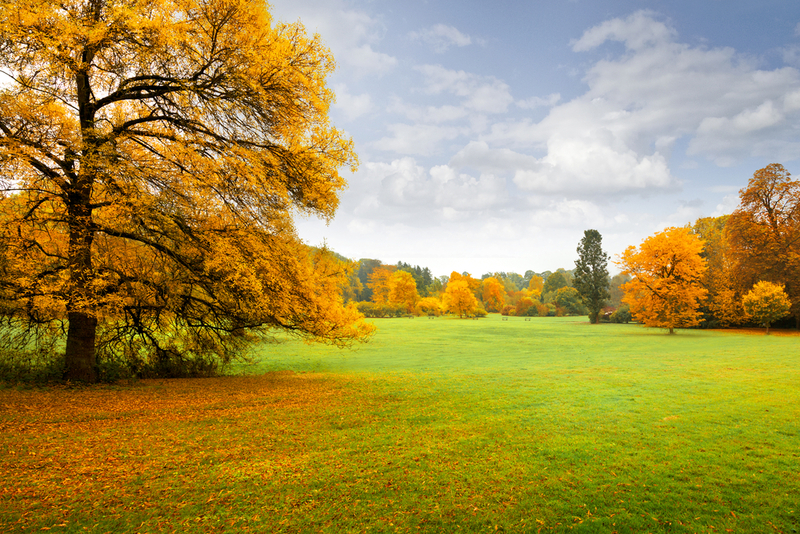 While summer will be winding down soon in some parts of the U.S., thoughts will turn to fall landscape preparation. And given that the drought is easing in several parts of the country, the next few months will provide a great opportunity for property owners to establish healthy winter lawns for their residents. Winter ryegrass is an effective grass that can be over-seeded on northern and southern lawns to keep yards looking green throughout the winter. The past couple of years, however, have been difficult for the seed industry and for landscapers to get the full benefit of winter rye. The time is right, however, for winter landscapes to make a comeback. A cooler-than-normal and wetter summer in parts of the Southwest is setting the stage for what appears to be a favorable winter growing season. Seed inventories are expected to increase. For areas that are irrigated, flag all sprinkler heads, especially if rotors are used. Rotors tend to stick up a half-inch or more and could get damaged by lawn mower blades during the scalping process. Two passes on the mower will be necessary to adequately remove all the grass and any thatch from the lawn. It’s best to bag the clippings for a debris-free lawn that enables the best penetration of seed. Ideally, the first mowing should remove all of the top growth by cutting about half the height of the grass. The second pass should cut the remaining growth as close to the dirt as possible while leaving some grass as a cover for the seed. Overseed the lawn using a rotary spreader that typically is used for applying fertilizers and bug control granules. It’s best to put down 10 lbs. of seed per 1,000 square feet of law. Typically, an average residential yard is 5,000 square feet, so 50 lbs. Use the highest setting on the spreader to fully cover the lawn. Once the seed is done, turn on the water. The idea is to keep the seeds moist over the 14 days. This may require watering three times per day – early morning, late afternoon and middle of the night – if restrictions permit. Be careful not to overwater. Standing puddles can drown the grass seed. After the seeds germinate, apply a starter fertilizer to stimulate root growth. Choose a fertilizer that is high in potassium and phosphorus, but not necessarily nitrogen. Nitrogen is more for stimulating growth of foliage and mature grass. About 10 days after fertilizing, the lawn should be filled in with the winter grass. At that time, mow for the first time. Mowing prior to that could actually pull the grass from its roots rather than clip it. After the first mow, it may be necessary to reseed spots where the grass did not take for whatever reason. It’s best to do this by hand, applying an evenly spread and generous amount of seed into the area. If seeding a bare spot, the seeds only need to touch the soil. Fertilize two or three times during the winter season to give the winter grass strength. Using a greater amount of nitrogen will help top growth and keep the lawn looking green throughout the winter, even as summer grass goes dormant. As winter turns to spring, it’s best to do another scalping to remove winter grass going dormant as summer grass comes to life. Fertilizing again will ensure that your lawn has a healthy start to the spring.